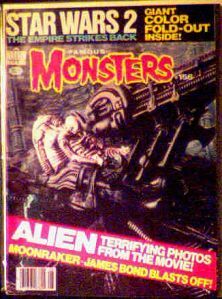 August 1979 issue of FM with features on Alien, Empire Strikes Back, and Moonraker. Mint condition. I still think that the ads in the back are the best part. I wish that I could still order this stuff! Website design and hosting by Sohodojo Business Services. Item 132 of 466 items displayed in viewer. 0 items in cart.